We are continuing with the "ABC challenge", today is the turn to show you an untried nail polish starting with "R". My choice for today is a Classic of USA drugstore brands: Revlon. Keep reading to know more about the chosen shade! Ok, I admit it. Nail art is not MANDATORY, but without it, I feel "naked" (yes, I'm THAT sick). Yet, my present circumstances don't allow me with enough free time to sit and create amazing free hand painted designs or unique intricated techniques. The last part of 2015 and the beginning of 2016 will be remembered on my nail art journal as the "slap it and go" period (more LOL). I have been reaching for every simple and quick nail art technique that was put under my nose and these Born Pretty Store Vinyl sticker guides are definitely one of them! Hello sweeties! I hope you are doing great after a long weekend and ready to kick-off this Tuesday! Today I have the pleasure to host a post by the talented Amy, who is going to tell us everything about her personal experience with Organic Skin care and cosmetics. Keep reading after the jump! Hello my lovelies!! How is this Spring treating you? Already sunny and warm where you live? In Switzerland Spring is typically very shy and rainy, so it takes her time before warming up, but we already had some nice sunny days this week! 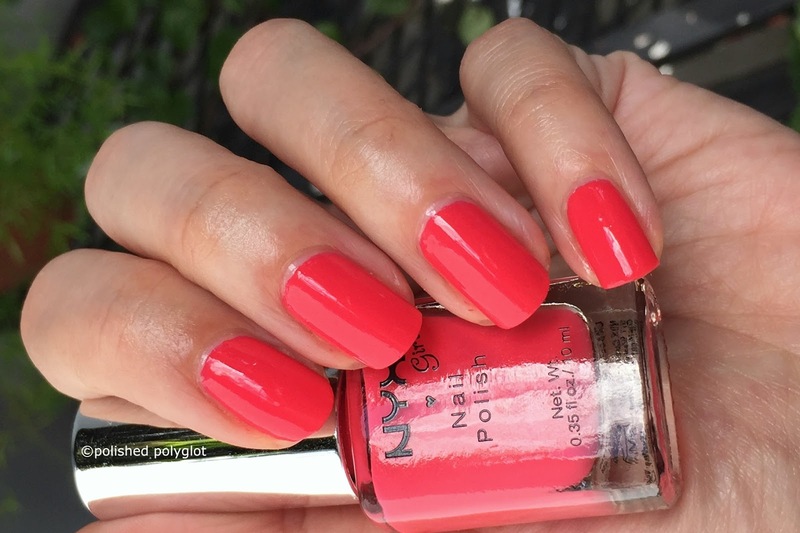 Speaking of which, today is the 25th apointment with the Crumpet Nail tarts for the 40 Great nail art ideas challenge and the prompt is SPRING, of course! Today is the turn to the letter "P" or the ABC Challenge and I have a super fun and pretty nail polish to show you. Today's choice an indie brand: Pahlish. Hello lovelies! It's time for some neat Easter Nail art Ideas! I haven't had time to create many looks for Easter, but I did these yesterday and I think they are pretty sweet. My early Easter Wishes: PEACE! Hi my lovelies! I was supposed to write a post about Easter nail art yesterday for it to go live early this morning. But after the tragic events in Brussels, I was too overwhelmed and not really in the mood for nail art. I know this blog is supposed to be an escape valve from the world, but yesterday, and today, I feel like going on like nothing happened it is just not right. I don't want to make comments or go into a deep analysis or debate the facts, there are way too many people doing this at the moment. I just want to send a virtual hug to all the affected people and their families. I wish terrorism to stop! Please, stop! Spring is here, the weather is sunny and lovely and I have just put together the second part of my own Season's makeup challenge. Are you feeling inspired to join me? Keep reading, then. Today is officially the "O" letter day for the ABC Challenge and posting (yet again) means I will be finally on time with the schedule! woot woot! Today's choice is one of my favorite salon brands: OPI in the shade Give me Space. Today is the March Equinox and officially the end of Winter and beginning of Spring ♥♥♥ !!! As promised, I'm publishing a round-up of the first part of my personal Pan Project called "Season's makeup challenge". Keep reading after the jump to find out how well I did using up makeup this winter. For the 24th appointment with the 52 Weeks Nail Art Challenge we have a colour prompt which is "Three shades of green". Here you can enjoy over 40 green nail art designs! Today is my last day in Argentina :-( In a couple of hours I'll be heading to the airport to take my first flight for the long, long , loooooong trip back home. The end of a vacation is always hard to overcome so I supposed a little makeup chat would cheer me up. 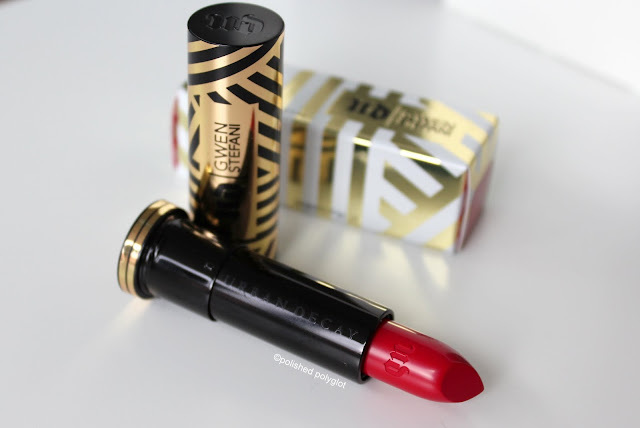 Today I'd love to show you my Urban Decay Gwen Stefani lipstick in 714. Hello, sweeties! I hope you had a great weekend. I'm enjoying my last days in Argentina, I'll be flying back to Switzerland on Wednesday :( Two weeks have flown by so fast!! But I didn't want to miss the "ABC challenge" again since I've already skipped a couple of letters. I have another untried nail polish to show you. Today's choice is a British drugstore brand: Models Own in the shade Readiant pink. I'm a bit late for the 23rd issue of the Nail Art Challenge called "40 Great Nail Art Ideas" which was due yesterday, the prompt this week is FOOD. I know, it may seem strange to decorate your nails with food related designs, but I think that it is fun and results can be very creative. 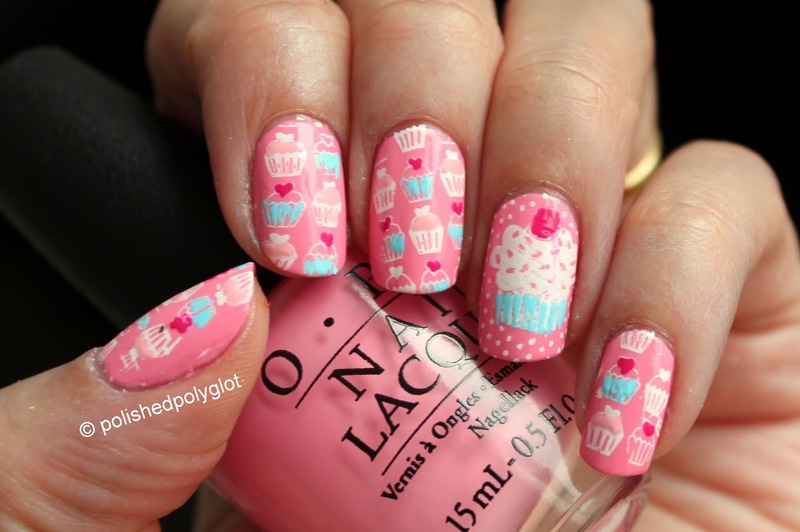 Please, keep reading to enjoy over 40 nail art designs dedicated to this theme! It has been a while since I last shared a post about makeup with you, so I thought it would be nice to feature one of the lippies on my "Seasons Makeup Challenge". 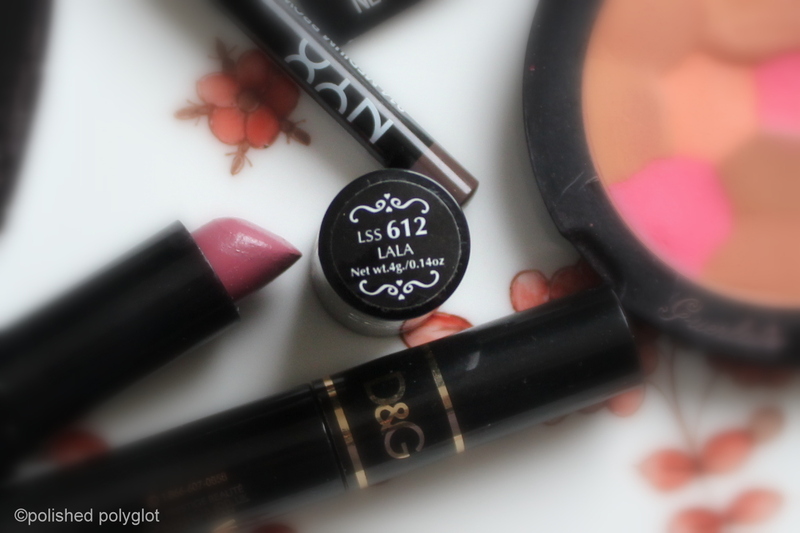 Today I'd love to show you NYX round lipstick in 612 Lala. Hello, sweeties! I hope you had a great weekend. I'm much busier than I thought I would be and unable to post as frequently as I wish. But I didn't want to miss the "ABC challenge", today I have another untried nail polish to show you. Today's choice is a well-known drugstore brand: Essence and the shade Ka-ka-karnival representing letter K.
"I have enough body butter and moisturizers" you won't hear me saying. Ever. I am a skincare junkie and can't contain my excitement when in front of a new set of body butter blends like the one I have to show you today! I got these pretty little jars from Cuccio Naturalé, and... well, if you please, keep reading after the jump!